Way back in the late 60’s I got into the blues. Yes, I bought a harmonica and fooled around with it to no avail. Besides the harp what really caught my interest was slide guitar. The sound to me meant the blues. I was to learn that that sound also meant country, western swing, folk, and other genres of music as well. Yes, no doubt about it I love the sound of slide guitar. Besides the great blues players some names that stand out to me are Jorma Kaukonen, Sonny Landreth, and Cindy Cashdollar. I shot Cindy when she played with Sonny Landreth and now with the great Rory Block. 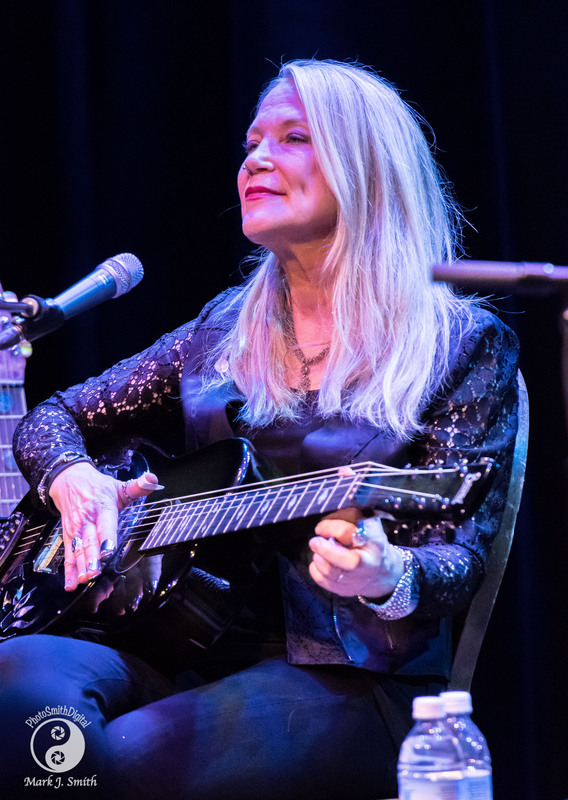 I was absolutely familiar with Rory Block but had never caught her show and was absolutely looking forward to covering her playing with Cindy Cashdollar. 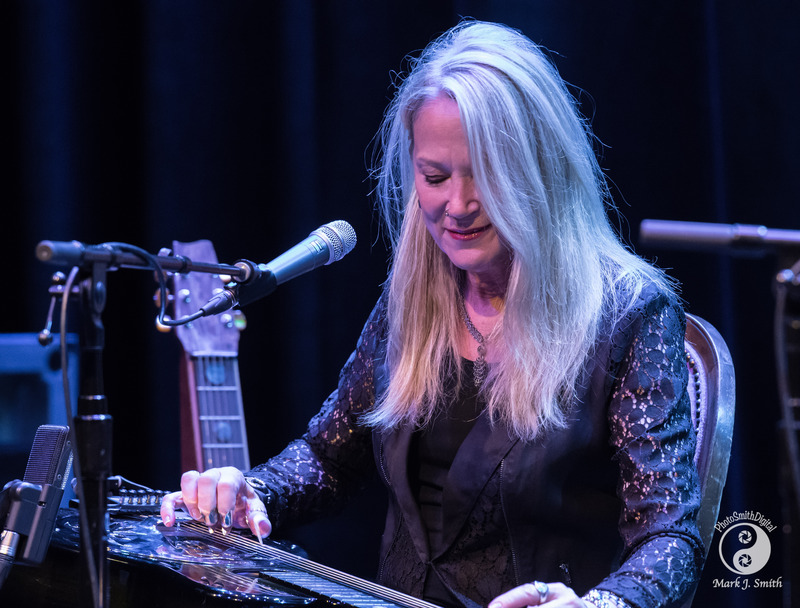 Rory is Internationally acclaimed blues artist who has committed her life and her career to preserving the Delta blues tradition. Her versions of classics fill her set lists. Songs like Son House’s “Death Letter Blues” lead into the much recorded “Frankie and Albert” and then maybe to one of her own songs, “Lovin’ Whiskey”. 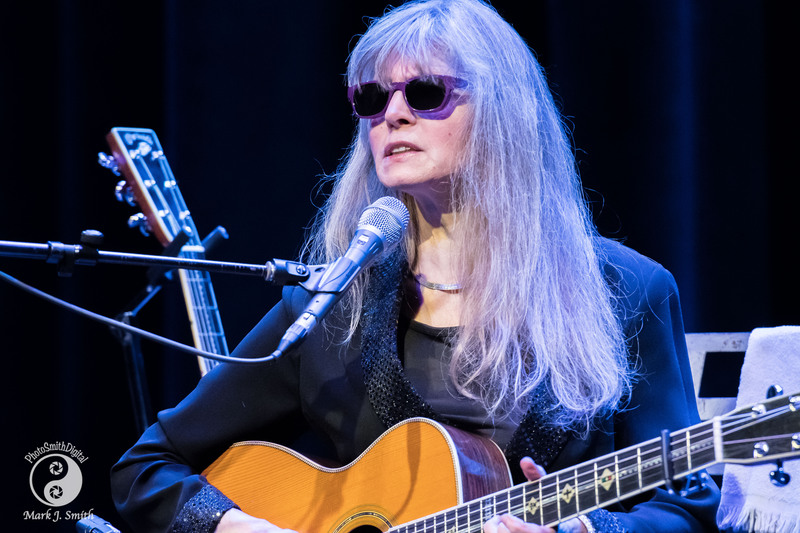 Scan down her set list and you will see how she brings the blues and all its history to life for the audience. 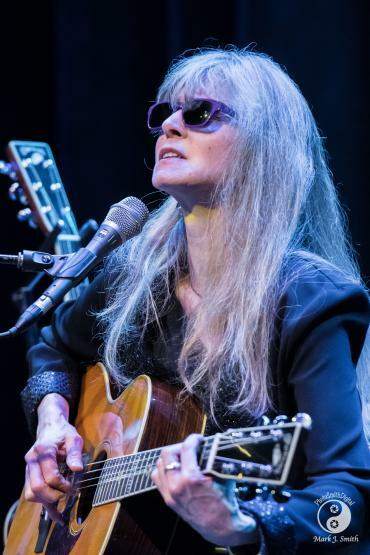 Cindy Cashdollar has many guitars to thrill us with. 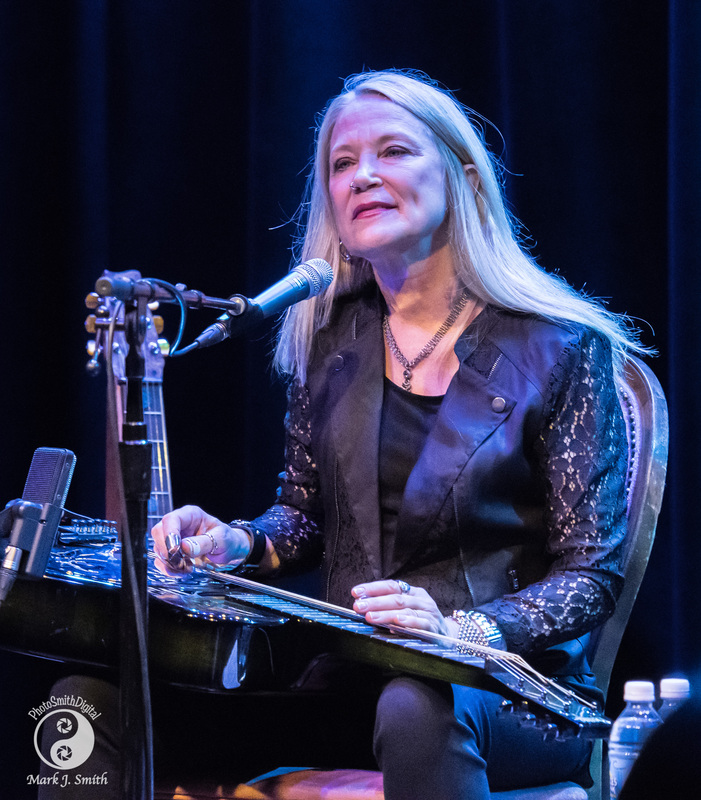 Her Drobo, Resonator, National Steel, and of course her Weissenborn style baritone hollow neck slide guitar in her hands make beautiful music. I read some where that the Weissenborn is Cindy’s favorite guitar. I don’t know how true that is but I do know it is my favorite. The sound that comes out of that beautiful machine is absolutely incredible and she plays it with such love. Her passion for that particular tool is obvious for all to hear. By the way these pictures do not show her Weissenborn style guitar….sorry. The opening paragraph above mentioned that I discovered how the slide guitar was a big part of many genres of music. The first time I shot Cindy Cashdollar she had her own band playing the Philadelphia Folk Festival. She had recently left Asleep At The Wheel a Texas Swing Band and was playing country, folk, swing, and some rock and roll to boot. Oh yeah, I loved her boots. My lesson in what the slide could do was no where near complete but Cindy started it off with class. What a night of music. 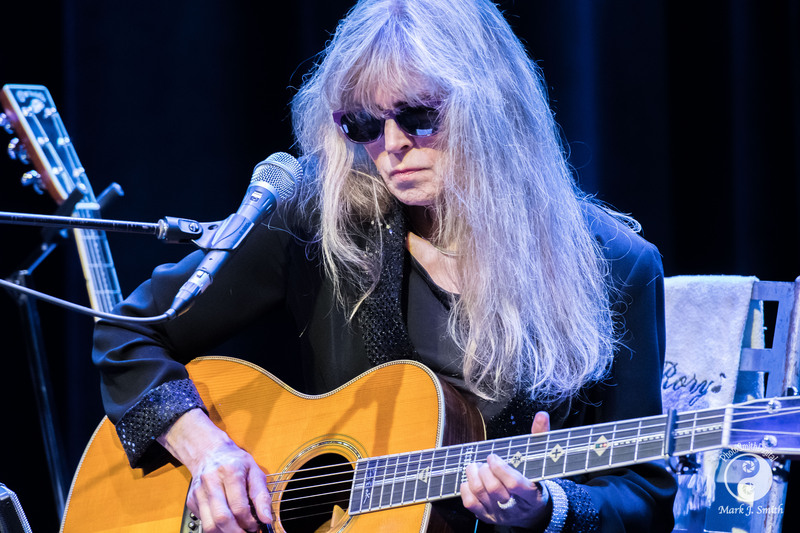 I don’t care if you are a slide fan or not these two incredible ladies bring such wonderful music to the stage that all in the audience are without a doubt sad to see it end. If you get a chance to catch them together or playing with others I suggest strongly you don’t pass it up.